Department of Justice (DOJ) Secretary Leila de Lima, spoke on Tuesday September 1, about the crisis between her and the Iglesia Ni Cristo controversy. Upon her silence for the fast few days were INC show their force on DOJ secretary that brought a 3 day rally protest that leads to massive traffic in the city. De Lima, seeks for understanding and preferred her silent to avoid the issue when asked about the protest of the INC as well as in the case of Isaiah Samson pending DOJ. “I cannot issue any statement.I just want to avoid the situations that might be misquote me or to distort or pin when I say something that can lead to another ' dispute , "said by the DOJ secretary. 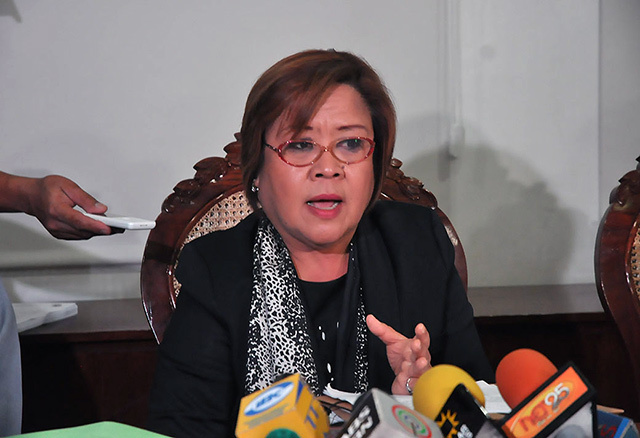 De Lima, also said that she would not resign, despite the call of some groups and Vice President Binay to resign due to this issue of the Iglesia ni Cristo ( INC ). "No, I am not going to resign now or in the next few days or several days because there is no reason for me to resign ? " I will resign in due time? And you know what is about due time? De Lima, who is eyeing for a candidacy for the 2016 election is reported to seek for senatorial candidacy under the administration party list. The DOJ secretary also denied the accusation that there is a a settlement between the government and Religion INC that ended the strike of INC which started last Friday. Militant groups like Bayan Muna, said that there is a possibility that the Government gives those demanded by the INC thus withdrew it on the fourth day of their strike. Former Akbayan Representative Walden Bello that the government must disclose what has been discussed for the people to know it. No Comment to " DOJ Secretary Leila de Lima Will Not Resign But In Due Time "